Baseballs Baltimore Chop was one of baseballs most uniquely perfectedand designed plays for reaching base safely. We can call it baseball bunting, we can call it what we like, but the feller who stood a full 5' 4" on the stretch perfected it to a fair-the-well. 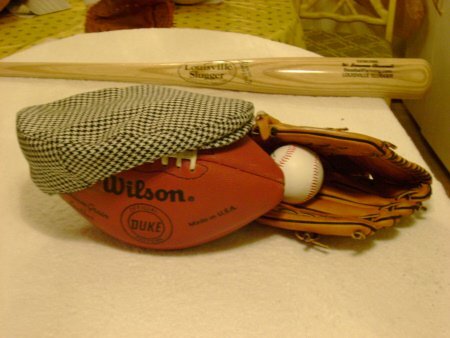 "Wee Willie" (William Henry Keeler) Keeler mastered the unique art of bunting the baseballs baltimore chop to get on base and he even rode this baseball bunting art all the way to the Baseball Hall Of Fame. 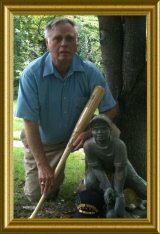 Now that I have given you enough clues as to "what" and "who" maybe it would be your pleasure to knowing how to play baseball and finish this story of Baseballs Baltimore Chop... Keeler had the ability to bunt practically any ball sent his way. He was the impetus for the rule change that made a third-strike foul bunt into a strike out. With Ned Hanlon's Baltimore Orioles he perfected the "Baltimore Chop," in which he would chop the ball into the ground hard enough for it to bounce so high he could reach base before the fielder could throw the ball to first. He was one of the smaller players to play the game, standing approximately 5'-7 (some sources say he was as short as 5'-4) and weighing 140 pounds, resulting in his nickname. Keeler was elected to the Baseball Hall of Fame in 1939. He is among the shortest players ever elected to the Hall, and the shortest to appear on The Sporting News' list of the 100 Greatest Baseball Players, where he ranked number 75.